Teaching With Love and Laughter: Walmart and Target Goodies! If you're anything like me, you've already begun doing some back to school shopping. Walmart has a new line of 88 cent products that are both affordable and adorable. CraftProjectIdeas.com, has been sending out packages to teacher bloggers to showcase on their blogs so everyone can see just how cute this stuff is. 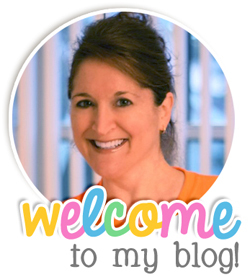 I am thrilled to be one of those bloggers! Here are some pictures of what you can expect to see in your local Walmart. You can right click on each picture and open in a new window to see more details. Here's some more stuff from the same company, that I had already purchased before my package arrived. I hope that you all enjoy these goodies as much as I do! I also went to Target and picked up some more bins, caddies, paper trays, etc. I already have tons from last year, but, I like to know I have these things, just in case. I love the new dry erase boards that look like a piece of notebook paper. Those are definitely new to me! I hope you all have fun shopping, too! I'm no where near done, so, maybe I'll see some of you in Target or Walmart or Michael's. I'll be the one with a wagon full of stuff that I probably already have and don't even need! I just got my package from them today and was so excited!!!! Can't wait to post about it! Well I will definitely have to go check out Walmart. Especially since I have a discount card! How do you get chosen for these types of things? I have seen so many bloggers reviewing products and would love to do that but have no idea how to get started! @Cindy, I just wanted to let you know that you are a no-reply blogger, meaning, no one can email you after you leave a comment. I just did a post on how you can fix that. I haven't seen that dry erase notebook paper! I like that! I love the target bins and caddy's. I guess I have never been down that aisle? Can you tell me if they are cheaper than Really Good Stuffs bins? I just got those wipe-off boards, too!! I also found tons of stuff for my back to school super hero theme in the Target dollar bins. Now I have to make a trip to Walmart :) Thanks for the tips!! those lined dry erase boards look rad....did they come from target? Hi Lori, I was just at 4 Targets 2 nights ago! I've been looking for those slanted book bins. (Got some last year) Did you just find those? You sound just like me!! I would love to shop with you. I have taught 28 years and always buy things I already have, plus more things that I probably don't need, and even more things I think I'll need. It's an obsession or an OCD problem for me. I have way too much stuff!!!!!! Thanks for sharing. I LOVE those bins too! Haven't seen them at Target here yet! But I will keep checking!